First loves. We don’t forget them. And in this case, they never really move on. Linc and Sylvie were destined to be together but their fear of ruining the friendship caused their love story to go in a whole new direction. Sylvie fell in love with another man and started a life with him, while Linc moved to Nashville to follow his dream of being a singer. The story flashes back and forth with the present and the past but it ends about half way through when you find out what is eating at Sylvie. You get to see how their relationship is built and see how time apart almost cost them what they hold so dear. I loved the angst-filled moments that Langston gave us and there were quite a few. At times I was annoyed with Sylvie just because I wanted her to just get to it with Linc but the whole ‘it’s not realistic if they just get right together’ but this a book I should get what I want! Anyways, the turmoil that is plaguing Sylvie is a doozy of one. As we see her life progress you start to get clues as to what happened, but you won’t be able to predict what actually happens. She touches us on subjects that are hard to understand unless you’ve lived them and for me I found the feelings eerily similar to things I’ve experienced in my past. This book quickly became one of my favorites from Langston because it’s not a book that is going to give you a hang over after you read it. It gives you a nice warm fuzzy feeling of happiness and we need more of those books in our lives. 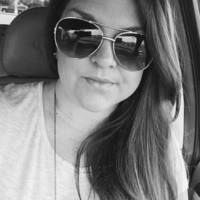 K lives in the deep south with her husband of 16 years, their two children and fur babies, Sadie and Birdie. She released her debut novel Because You’re Mine in September 2013 and has since released three follow-up books in the MINE series. Her newest series, Brothers in Blue, is packed full of romance and suspense and features six alpha brothers. She was also a contributing author to the USA Today Bestselling anthology, F*cking Awkward and co-wrote Unlawful Justice with fellow author and friend, KC Lynn. Oh, and she had dinner at Colleen Hoover’s house once. Where she stole a roll of toilet paper as a souvenir. Her most recent release, Sylvie is a standalone contemporary romance about a woman fighting to survive lif K lives in the deep south with her husband of 16 years, their two children and fur babies, Sadie and Birdie. She released her debut novel Because You’re Mine in September 2013 and has since released three follow-up books in the MINE series. Her newest series, Brothers in Blue, is packed full of romance and suspense and features six alpha brothers. 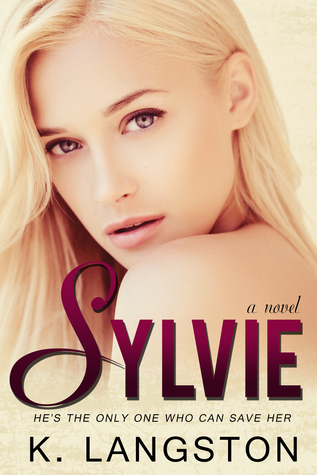 Her most recent release, Sylvie is a standalone contemporary romance about a woman fighting to survive life. When she’s not penning her next story, you can find her nose buried between the pages of a good book or she’s on social media because look. SQUIRREL!! This entry was posted in Books and tagged K. Langston, Kindle Unlimited, Sylvie.